The Black Orpington is a very large heavy breed. They're very friendly and docile by nature. The beautiful black shine of their feathers makes them an absolutely stunning bird. Out of all the birds on the farm last year, when guest show up to pick up their birds they always wanted to know, what is that bird and how do I get one. 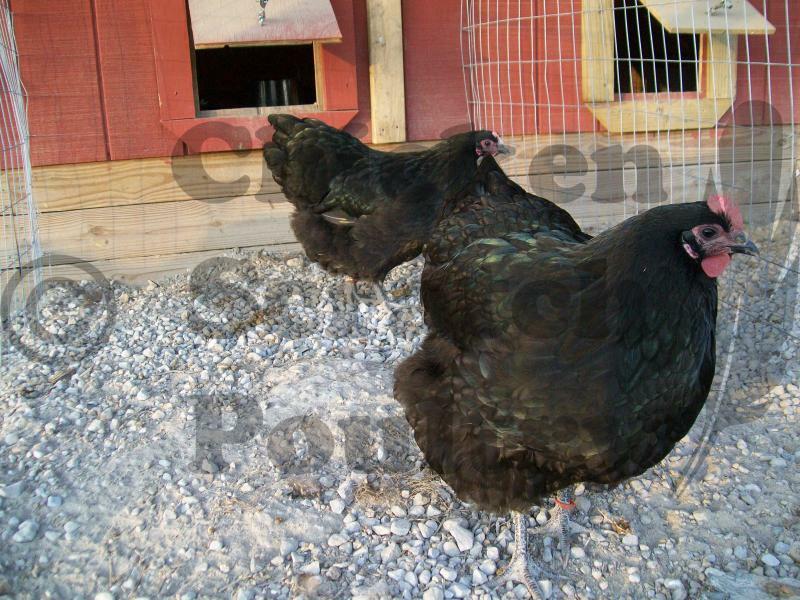 The Black Orpington is a good layer of a pinkish cream colored large egg. 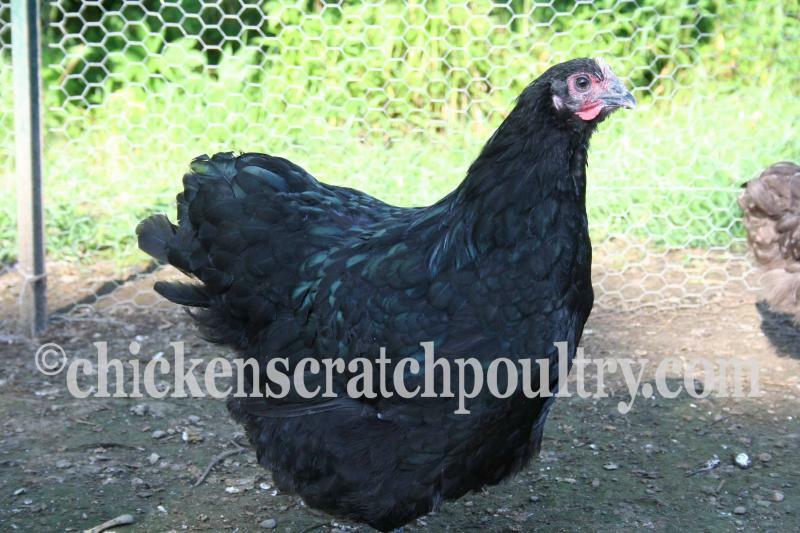 The Black Orpington is an important bird if you are also breeding Lavender Orpingtons. Every other year you need to breed black back into your Lavender flock in order to produce good healthy stock. 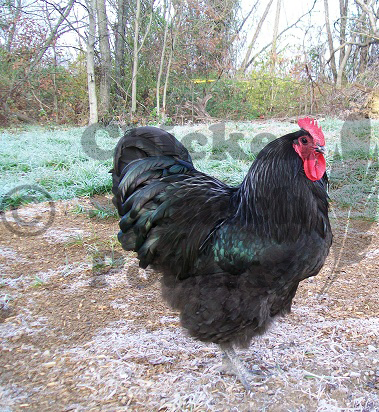 The Black Orpington breed, with it's gentle dispostion make great backyard chickens! Minimum order of 16 chicks. You can mix your order. If you would like fewer than 16 chicks please contact us for information. Minimum order of 16 straight run chicks please, you can mix the order with other breeds that you like.﻿ If you would like fewer than 16 please contact us for information. If you have a problem using the shopping cart, just go to the "Contact Us" page and leave a message, I can send you a pay pal invoice.